It's been almost a week that I am back from the trip of my dreams i.e. 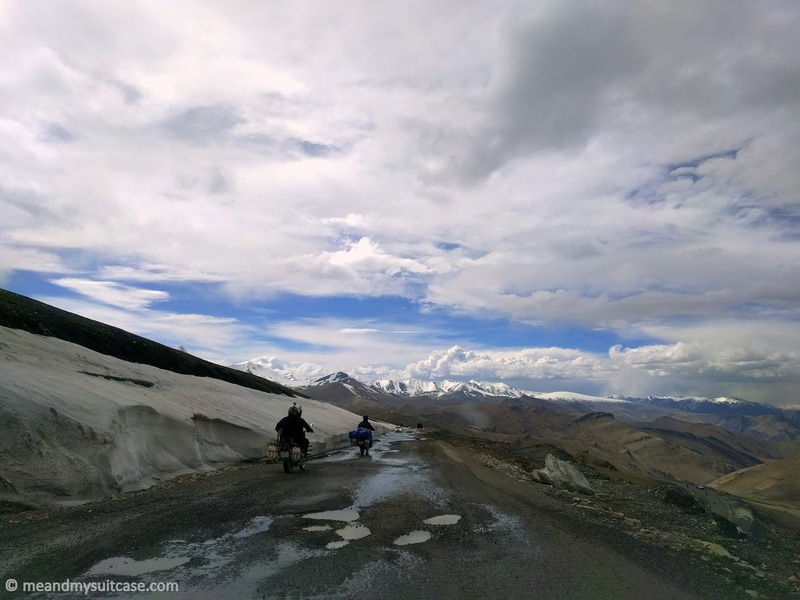 "Road trip to Ladakh" but can't get over it yet. So much so that, even yesterday in my dream I saw myself somewhere in the mountains enjoying the "hailstorm". In fact when I open social media, I see people either posting pictures of their Ladakh trip or planning one. June to September being peak season for this trip, this year it's been most touristy. During my trip, I even heard that the tourists during this year (till now) have almost matched the population of the region Ladakh. With anyone and everyone wanting to go to Ladakh, my stance is that one should not visit a place under any kind of peer pressure. 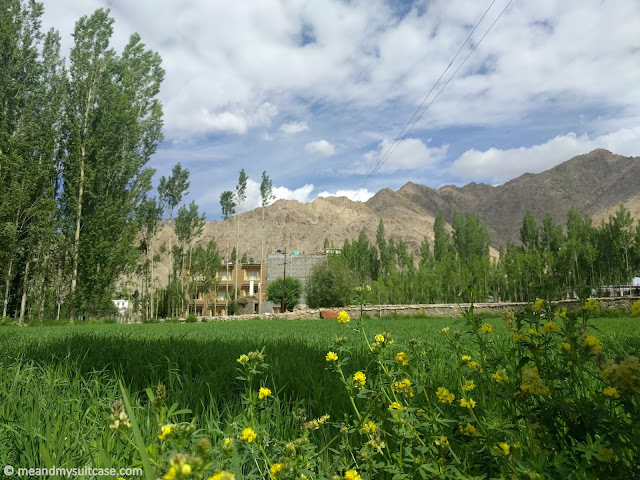 The first and foremost step in wanting to go to Ladakh is to make sure that your body is ready for it as much as your heart and mind. Ladakh is in no doubt, scenic; something words fail to explain. One can only go and experience its true self and just cannot fathom its beauty by seeing the pictures or hearing about it from others. But it also offers few things which some people are not aware of. One of them and most important being AMS. On the first day of our trip during brief introduction when Mayank (our instructor whom I call "the Boss") asked about it, some of us (we were 24 people traveling together) were not aware of what AMS is all about. 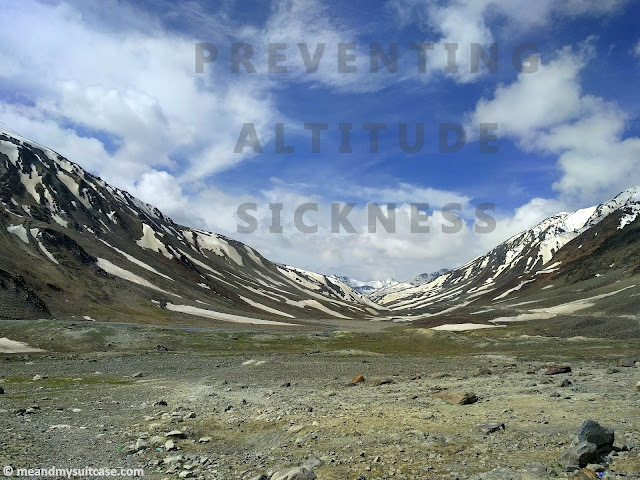 In my first post of "The Ultimate Ladakh" series, let's know what AMS - "Acute Mountain Sickness" is. 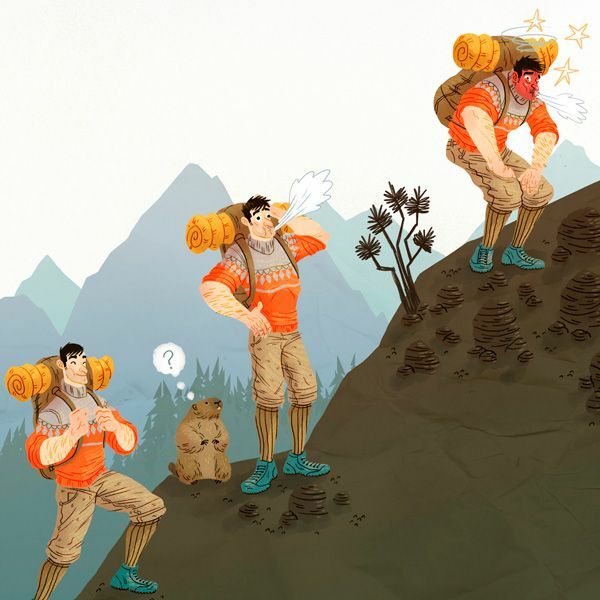 AMS is Acute Mountain Sickness which is also called as Altitude Sickness. In simple language it means Physical distress from difficulty in adjusting to lower oxygen pressure at high altitude. 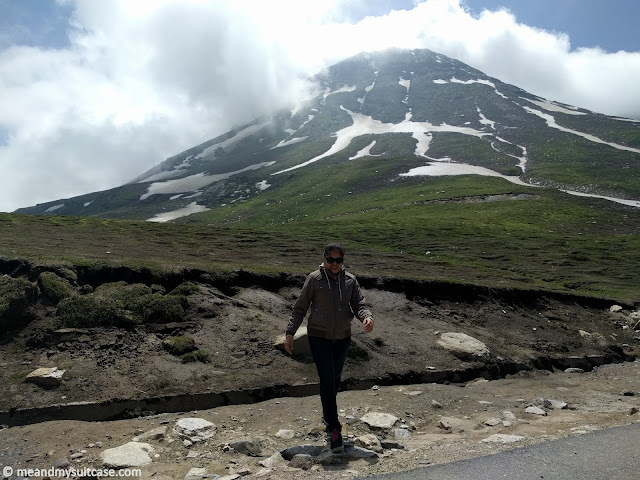 It mostly occurs once you go 8000 feet (2400 m) above sea level but not for everyone, some may even start experiencing it at little higher altitudes, it all depends upon your body, the physical and mental fitness. It in fact is little hard to determine that who will be affected by it and at what stage during the time you are at higher altitudes which has less oxygen level and low pressure as well. You are well aware that it's the oxygen which when reaches to the brain helps your body in doing all the activities, so when there is low level of oxygen at higher altitudes, when the air becomes thinner and the pressure reduces, one gets less oxygen per breath. This leads to your brain and body automatically trying to adjust to the new environment which we call "acclimatization". But till your body gets acclimatized, the distress you experience is called AMS. How will you know (Symptoms)? I would suggest, start preparing beforehand instead of starting to take measures once you start experiencing AMS or reach high altitude. Consumption of fruits and vegetable, specially fibrous fruits. Daily intake of dry fruits. These measures can be taken at least 1 week before the road trip starts. Keep eating something in between like mango bites (citrus toffee), fruits etc. Take deep continuous breathes. In cold, that may hurt your nostrils a bit but really helps in relieving headache and other AMS symptoms. Don't sleep on the way specially while covering high altitudes as sleeping reduces oxygen levels. Don't put cotton in your ears. AMS is nothing to panic about, everyone faces it. It's better not to take medicines. Consult your doctor before you decide anything because I am not a doctor. I am writing this as per my experience and research that I have done online. To add, in my travel group no one took the medicine except one. Medicines too have side effects, so try and go natural way, if possible. Also, it is better to get acclimatized sooner to enjoy your trip all along (quoting, the Boss 😋). In case of severe AMS, go and see a doctor, take proper consultation, get your oxygen level checked and take medicine & other measures as prescribed. Extreme AMS can be fatal, which is mainly because of lack of oxygen but that's very very rare. So stick to guidelines and consult your doctor before you head to the journey of your lifetime. With a sound mind and body you can conquer all, so take care and enjoy your trip. This post is the first in "The Ultimate Ladakh" Series. Stay tuned for more fun and informative inputs from your very own Me And My Suitcase. Do share your experience with our readers in the comments section because sharing is caring! - All pictures are taken by me except otherwise mentioned. 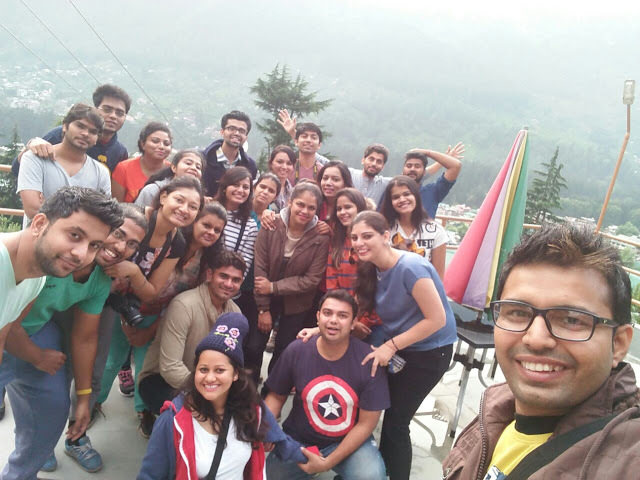 - Once again, the above mentioned tips, tricks & hacks are based upon my present experience, online research & inputs from our group trip organizer. So, do consult doctor before you decide anything, you are the priest of your body and mind. Hey.. we knew this.. but very nicely described AMS.. it will definately help many who r going Ladakh and high altitude places.. Very important tips. People take high altitude places lightly but they should not. It can cost a life too. You are right. AMS not to be taken lightly. Been there, done that. It's really important to take all the precautions related to AMS to enjoy your trip to high altitude regions like Ladakh and Spiti. Nicely put, Stuti! Yes. That's a valid point. Don't drink & smoke. Thanks for sharing this post with us Stuti! Yes AMS is a serious concern when you go to the mountains. We see a lot of people really trying to push the boundaries for no reason and then end up in the Ladakh hospitals who eventually need to be airlifted back to the plains. Many have lost lives, being fool hardy. We suggest everyone to respect the mountains and that is the best way to stay safe and not be sorry! Thank you for your insight too "Scout my trip" and glad you liked it. Appreciate.